I’m going to level with you… I haven’t seen “Summer Forever” yet, but I’m absolutely in love with behind the scene looks at interesting projects. So, when I found out Megan Nicole shared an exclusive BTS video of her first film, I had to share it! YouTube starlet Bethany Mota is very excited about her 2015 Fall fashion line at Aéropostale. She recently shared the following tweet promoting the clothes she especially designed for her virtual “besties”. These two YouTube girls seem to be having a blast this year, and they love sharing the fun. All rights to the video and tweet belongs to Megan Nicole and Bethany Mota. 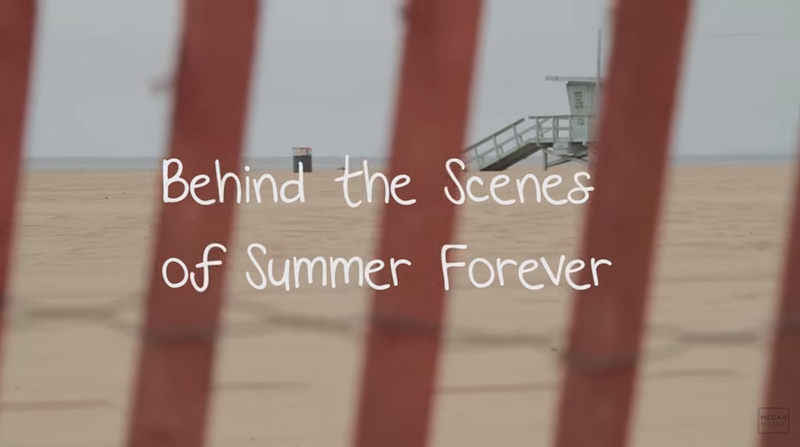 This entry was posted in Entertainment, Music, News, Uncategorized and tagged Bethany Mota, Megan Nicole, Summer Forever. Bookmark the permalink.